As low as $38 per month and 0% interest for up to 6 months. Page 1 of 6 | Make choices on each page then click on go to cart button. Seasonal Savings + Package Shipping Savings saves you $361 vs. buying separately later. Page 2 of 6 | Make choices on each page then click on go to cart button. Seasonal Savings + Package Shipping Savings saves you $420 vs. buying separately later. Page 3 of 6 | Make choices on each page then click on go to cart button. Coop - Choose the number of Mobile Coops you want to purchase. Page 4 of 6 | Make choices on each page then click on go to cart button. Extra | Cold Climate - A big advantage to our coops is how they can adapt to seasons! Order panels to match the coop(s) you're buying. Save 25% or More Now vs. Separately Later! Page 5 of 6 | Make choices on each page then click on go to cart button. Extra | Customize – Add a custom engraved name board on the roost end panel or a silkie ramp for bantam breeds. Choose your font and engraving text at checkout. Page 6 of 6 | Make choices on each page then click on go to cart button. Assembly | Over 4,500 Round-Top Coops™ have been put together by customers. Basic skills, a little time and a cordless drill can save you a bundle in shipping. 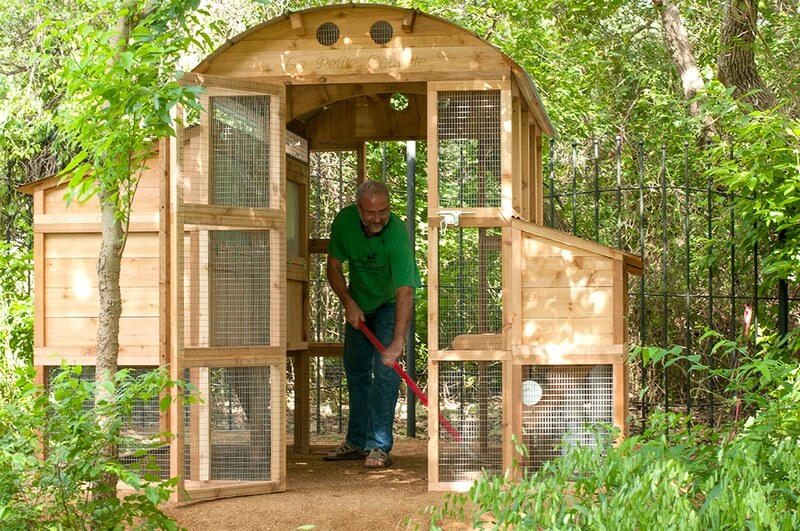 If DIY makes you nervous, check out our fully assembled coop options below. DIY assembly will take you about 2 hours with a helper. Declare an end to winter now and spring for these great offers! 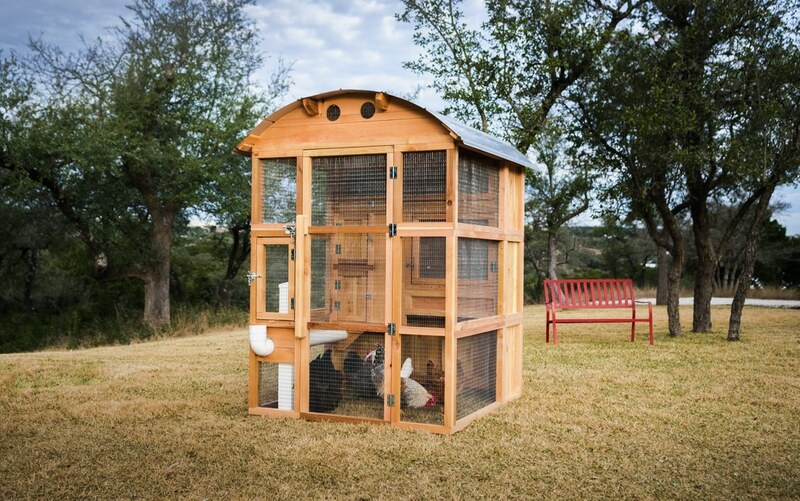 Score extra savings on this 1/2 price assembly deal now and we'll build your coop! A Super Cool Stealth Way To Keep 4 Hens & Get 1½ Dozen Eggs Per Week Or More ! It’s free at time of purchase of your new Mobile Coop. Just choose in the coop Order Form and it will be added to your order for $39 Free! Bargain brand coops are not a bargain for long. Our coops are more durable, which means they last. But it also means they’re predator safe places for chickens to live. Our coops are methodically thought out and have deliberate advantages that save you time and make a healthier place to keep chickens. They’re among the best coops money can buy. We hope you decide they’re right for you…but call us if you have questions. Our #1 goal is to make sure our coops are a good fit for your needs and meet your expectations. Here are 10 things to know about Round-Top Coops™. Cedar will last outdoors many, many years painted or not. It's not chemically treated yet naturally resists rot and bugs. It's very strong. Heavy gauge exterior grade hardware is much more predator proof and will last a long time. It's at least 4X stronger than hardware cloth found on most every other coop. Beautiful, strong, outdoor-proof methods will hold up over time and we guarantee it. Patented Galvalume™ won't rust, reflects radiant heat, stays cool. Nothing is stronger than metal. Convenient, overhead no poop, outside fill, can be freeze-proofed, food grade, hold a lot, can add extras taks up no run space. Saves time. Convenient, vertical no poop, outside fill, weather resistant, food grade, hold a lot, takes up minimal run space. Saves time. If our coops are in your budget, they’re actually a great value. We don’t try to fool you with “free shipping” that we both know isn’t free. Well made coops are very heavy, shipping them is not cheap. We don’t try to trick you about where they’re made, size or capacities of our coops. We respect your intelligence. © Urban Coop Company, all rights reserved. We calculate hen population based on ~4 ft² per bird run space (free range by Gov’t standards) adequate roost bar space, egg box space, and quantity and number of feed and water units. You add extra space because you’re being extra generous on space, but our base model coops use an accepted space calculation. Weight: Fully Assembled ~ 125 lbs. See product detail links below for additional information. See Assembly option in Wizard for fully assembled coop information. A Bright Way To Keep Out The Cold Winds & Snow In The Winter… Take Them Off When Things Warm Up! Live somewhere cold? No problem, we’ve got you covered. Almost every breed of adult chicken when kept dry and out of the wind chill are very, very cold hardy… even in sub zero temperatures. So if you can keep the water from freezing, the snow from accumulating in the run areas and keep sub zero winds off your flock… they’re good to go. And our Storm Panels let in critical light during short winter days. Magnetically attach and detach from wired panels. 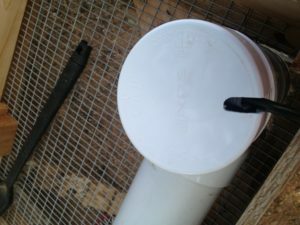 Coop waterers are shipped with a slotted cap that allows the water to breathe air as the water goes down. 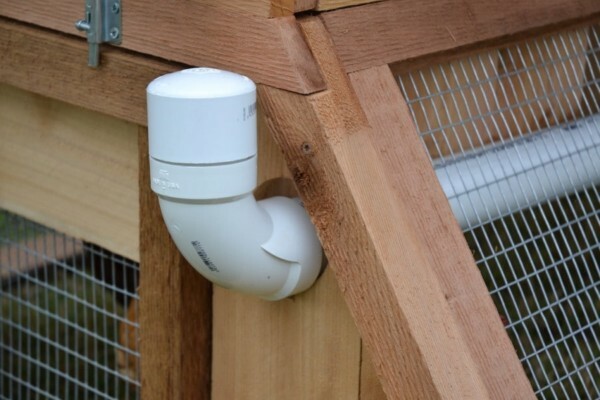 See the Easy-Fill Waterer & Storm Panel accessory pages for your model coop for more details. There are links to buy the heaters that fit from Amazon or other stores. Forget wheels… this is a much better way to do mobile! 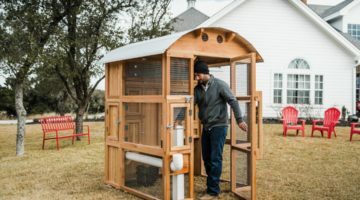 Sassy, compact, cute and crazy functional, the new Round-Top Mobile Chicken Coop is the perfect small coop for folks with smaller yards, wanting portability, or keeping fewer hens. It’s smaller on size but big on quality and features. The driving force behind the Mobile coop was portability without the difficulty and trouble of wheels. Many of our customers want the ability to “scoot” their coops around, or flat out put them up in the garage or barn when nasty weather comes around. We also wanted to make a more affordable Round-Top Coop™ for those people who didn’t need more than 4 chickens or who wanted a truly kid sized coop. Up to 4 chickens in standard form and an optional run extension for more space. Excellent cold or hot climate performance. 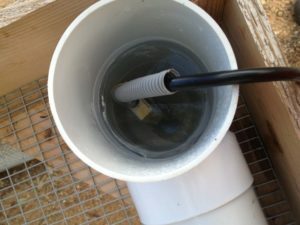 External access to water, feed and egg collections. Super stealth height and kid friendly too. Ships to a customer's door not a freight terminal. Two people can easily lift up and carry to a new location. Elegant style and obvious attention to craftsmanship. Modular design allowing basic coop to be added to over time. 10+ year service life performance via cedar and heavy duty galvanized hardware. Quick easy assembly with only a cordless drill. Built-in storm protection for roost area. Made in USA and as many materials as possible sourced in N. America. No-Poop 4+ day supply waterer that can be freeze protected. No-Poop 4+ day supply feeder. Value: If you were to source your own materials, design and build a like quality product, the cost and the time would make our price a better deal. Whether you’re a first time backyard chicken rancher or a seasoned veteran, we want you to have a premiere experience with Urban Coop Company. We realize our coop is a significant investment for most people and take seriously making sure you’re satisfied and hope you will tell others. First Contact – If you don’t order from us over the phone, you should expect an email or call after you place your order on our site to let you know we got your order and that we understand everything correctly. Delivery – Your expected ship date is shown at checkout and in your order confirmation email. You should expect to receive fairly large boxes to be delivered to your home or other designated place. Each box is from 40-80 lbs but no one part in the box weighs more than 20 lbs. If your boxes were to get rained on, it would certainly be soggy, but no harm would come to your new coop. Some roof metal is shipped in longer boxes. Coop Assembly & Setup – Written instructions are provided with every coop and on each coops product page too. We get calls with questions from less than 5% of customers when they are setting up their new coop. Just know that if for any reason you need help, we answer our phone at all but the rudest of hours and are happy to assist. In the rare event that there is shipping damage, a missing part or a mis-manufactured part, we ship out a new part right away. We hand make your coop so it is possible that we make a mistake. It is rare, but it does happen. Coop assembly overview videos are available on-line at YouTube. 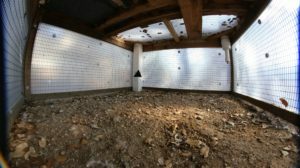 Getting Your Hens Situated In Their New Home – If you’re not already experienced, we expect that we will be one of your main resources for you to get comfortable with keeping hens. We expect that you will contact us with questions about chicken keeping until you know what you need to know to be comfortable. We as a family have hundreds of hens at any point in time, and use our coops to house many of them. Chickens are incredibly hardy and after you get to know how it all works you’ll be amazed how little effort it is and how much fun it can be. Each of the instruction sets have particular suggestions for getting started with that coop. We designed the Round-Top Mobile Chicken Coop to be easily assembled by two people of average skill in about an hour. All needed tools and fasteners are included in the box with a set of current instructions. You provide a cordless drill. Handyman Hotline: If at anytime you (or your handyman) needs support that the instructions or videos don't answer, just call us. 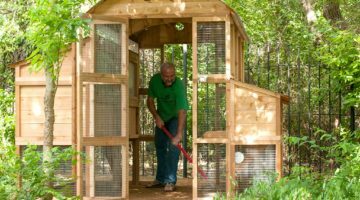 You can even have your handyman call us in advance so that when they show up to assemble your coop they're already up to speed. We’ve created a 7 minute video that gives a complete idea of what goes into assembling a Round-Top Mobile Coop. If the embed below is not working or you prefer to watch the videos directly on YouTube, click here. The printed instructions that come with your coop and the .pdf file on the Assembly Instructions Tab are always the latest version.